Fantastic News For The New Translation! 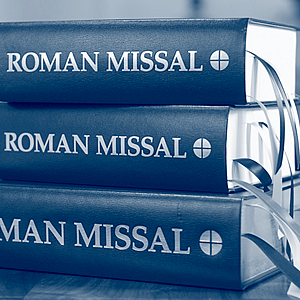 ECENTLY, a survey on the New English Translation of the Roman Missal was undertaken. From what I understand, the comments were sent in via the internet (which is always a “red flag”). So, what’s the fantastic news? Considering the circumstances, one would have expected the results to be drastically, hopelessly against the New Translation. As it turns out, this was not the case. I’m not going to insult the intelligence of our readers by explaining the most probable reason they didn’t ask the crucial question. IS THE ENGLISH TRANSLATION for the Third Edition of the Roman Missal perfect? No. There are certainly ways it could be improved. For example, it could use the second person singular form “Thou” in addressing almighty God. However, the most important thing is that our New Translation is so much more accurate than the previous one, and I have yet to find a single person who would argue otherwise. Perhaps this is why the results of the survey were so surprising and positive.